Professor Parham Williams is Interim Vice President, Interim Dean, and Professor of Law. Following several years of practice in the Air Force JAG, a private law firm, and as a District Attorney for the Fourth Circuit Court District of Mississippi, Dean Williams embarked on an impressive career in academia spanning more than forty years. From 1967-1985, he was a dean at the University of Mississippi School of Law, serving as Assistant Dean (1967-1969), Associate Dean (1969-1971), and finally Dean and Professor of Law (1971-1985). From 1985-1996, he served as Vice President, Dean, and Professor of Law at Samford University, Cumberland School of Law. Following a brief retirement, Dean Williams accepted a job as Vice-President, Dean, and Donald P. Kennedy Chair in Law of Chapman University School of Law, where he served from 1997-2007, guiding Chapman to provisional ABA accreditation. In 2008, he returned to the University of Mississippi School of Law where he taught Evidence as an Adjunct Professor until 2013. He has substantial academic consulting experience. 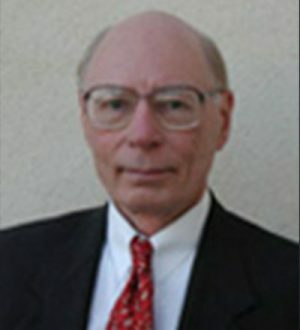 Dean Williams has been a member of eleven ABA site teams, over a term of years from 1978 to 2008. During his career in academia, Dean Williams has taught Evidence, Prosecutorial Ethics, Criminal Law, Criminal Procedure, Pleading and Practice, Chancery Practice, Constitutional Law, and Professional Responsibility. He has also authored numerous law review articles, books, and reports. His most recent book, Williams on Mississippi Evidence, was published by LexisNexis in 2013. In addition, Dean Williams is admitted to practice before the United States Supreme Court, the United States Court of Military Appeals, the Supreme Court of Mississippi, and the Federal District Court for the Southern District of Mississippi. Dean Williams earned his Bachelor of Arts degree from the University of Mississippi, his L.L.B. from the University of Mississippi, and his Master of Laws from Yale University.